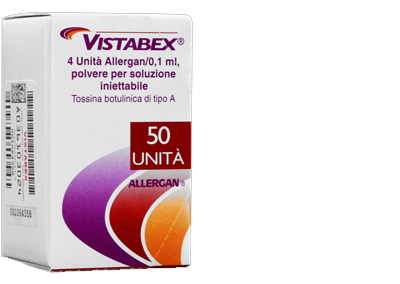 Vistabex is a botulinum toxin type-A (onabotulinumtoxinA) which prevents nerves from releasing the chemical called acetylcholine, which is essential for the nerves to communicate with muscle cells. Vistabex toxin therefore prevents muscles from receiving nerve stimulation. Vistabex is used to cosmetically improve the appearance of vertical frown lines between the eyebrows and is injected into the muscle above and between the eyebrows to temporarily paralyse and relax the muscles. 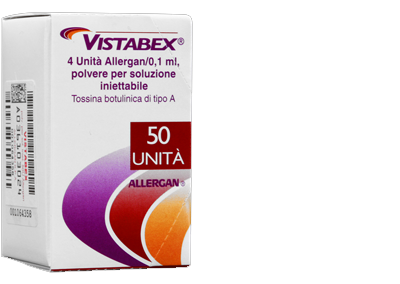 Vistabex may also be used for excessive sweating, muscle spasm control and chronic migraine.